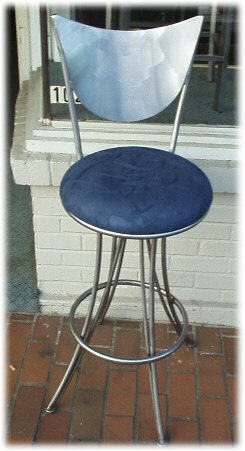 Luminary bar stool $450 ea. Shown in polished steel w/ sanded back. Please remember, all designs are custom and can be altered to your specifications.